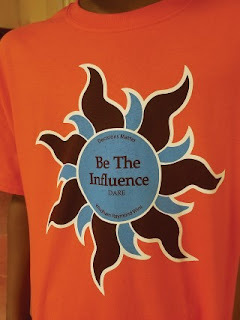 Over 180 fifth-grade students at Manchester School donned orange t-shirts with the logo, “Be The Influence” as they marched into the Windham High School Auditorium on Tuesday, June 13 to celebrate their successful completion and graduation from the Drug Abuse Resistance Education (D.A.R.E) Program. This culmination event marks the point at which the students make a pledge to resist the use drugs, alcohol or participate in bullying and violent behavior. Donnini thanked and then introduced Windham Police Officer Matt Cyr. 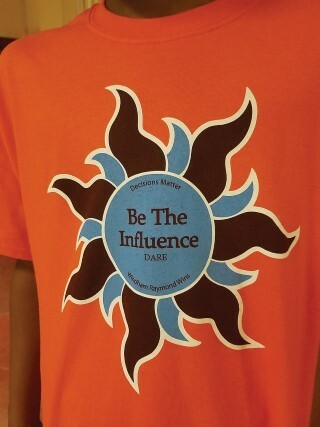 Cyr has been leading and teaching the D.A.R.E. Program for more than 17 years; working with both students and teachers in the classroom through a 10-week interactive education curriculum on the many drug, alcohol and bullying related issues that students face today. 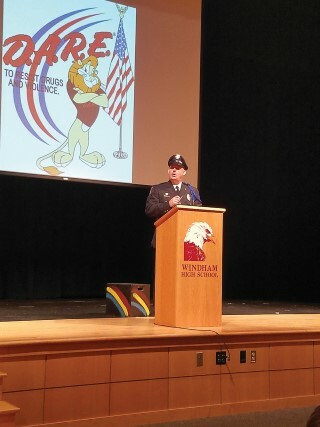 Cyr introduced the Commencement Speaker, Chief Kevin Schofield of the Windham Police Department. Schofield, who has also taught in the D.A.R.E. Program, began his speech by thanking the families and teachers that are supportive and allow the police department to teach this program within the school. To the students, he offered a few pieces of advice. “Don’t let this graduation be the end of your relationship with the police department,” Schofield began. “Help a friend in need, don’t bully others and consider joining a civic organization,” were words of wisdom he shared in regards to being a good citizen. The ceremony also included the readings of nine winning D.A.R.E essays written and read by the students themselves. The nine students whose essays were chosen are: Nicholas Marion of Paulina Angus’ classroom, Levi McDonald from Cindy Moore’s classroom, Abigail Coleman from Tracey Butler’s classroom, Alejandra Hidell from John Espejo’s classroom, Landon Grover from Jennifer Ocean’s classroom, Dylan Hartwell from Kate Berry’s classroom, Mallory Muse from Judy Taudvin’s classroom, Frankie Newton from Andrea Beaulieu’s classroom, and Cole Newman from Sabrina Nickerson’s classroom. The D.A.R.E. Program was founded in Los Angeles in 1983 and has been a part of the RSU14 educational program for approximately 20 years. The program works closely and in conjunction with the Windham/Raymond “Be The Influence” Coalition, a community based initiative that promotes healthy lifestyle choices.